Iranian President Mahmoud Ahmadinejad has instructed his country's atomic agency on Sunday to start enriching uranium to 20%, reports Russian news agency Itar-Tass, citing Iranian television. “I have requested vice president Salehi to start work on production of 20% fuel at centrifuges,” Ahmadinejad informed. Iran needs 120 kilos of enriched uranium to the level of 19.75% for the Tehran research reactor. 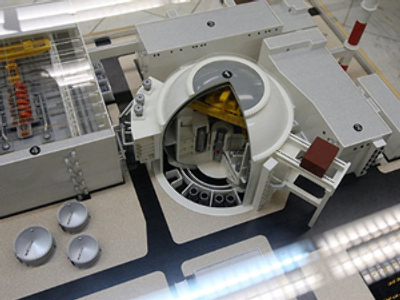 Iranian officials have repeatedly stated that if the International Atomic Energy Agency (IAEA) does not provide the Tehran research reactor, which is intended for the production of medicine for 800,000 people, with adequate fuel, Iran would start production on its own. According to a framework agreement worked out by the IAEA last October, the IAEA suggested to the Islamic Republic that it should export 1.2 tons of its low-grade uranium to Russia for enrichment and for subsequent production of nuclear fuel in France. Producing enriched uranium is the international community's core concern over Iran's nuclear program, since it can be used to make nuclear weapons. Iran continues to claim its program is for peaceful purposes only.